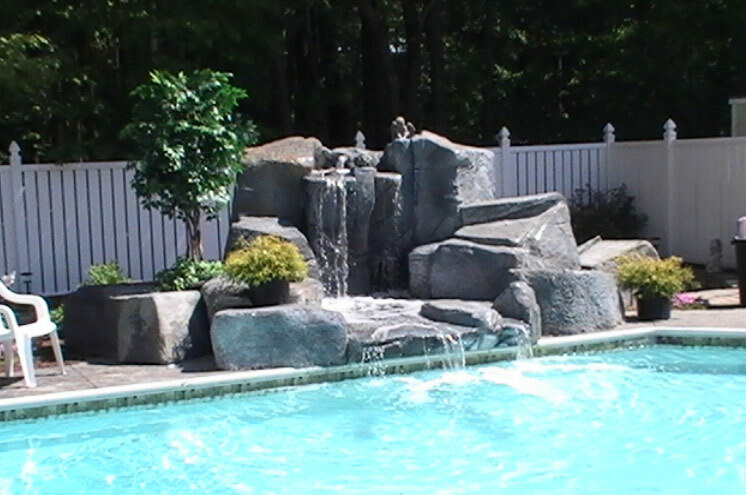 Enjoy the beauty and cost savings of a custom water feature system that can be installed and designed anywhere in your backyard or at the edge of your pool. 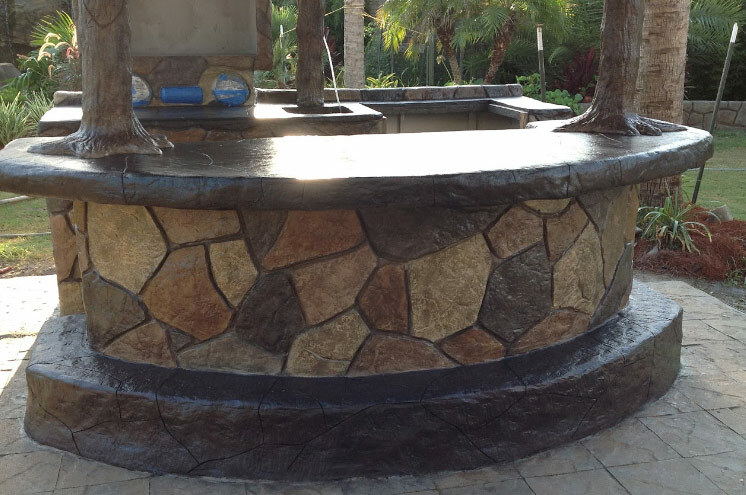 BR Design is proud to offer the Neptune Panels® System as an option to install full-scale boulders and rock formations. 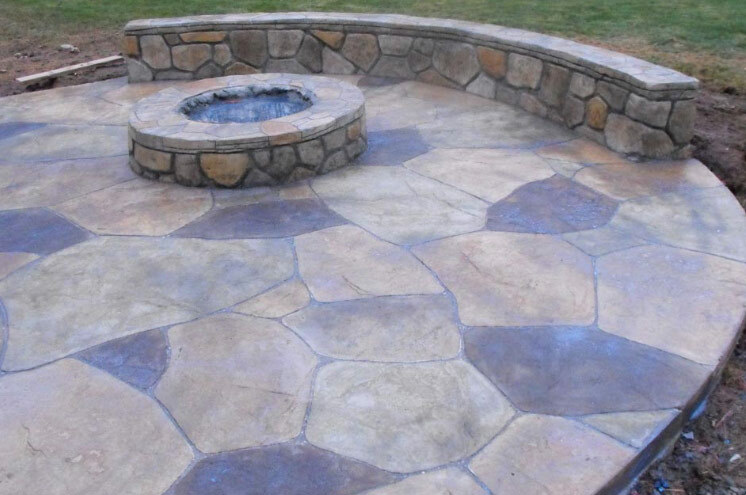 Our stone construction and stone application panel system can transform any space into a rock-like surface easily and afford-ably. 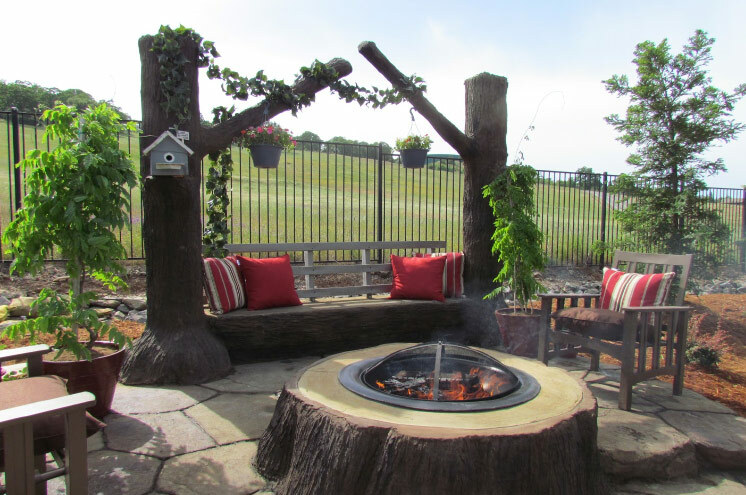 From large-scale pond and waterfall construction to total landscape transformation (landscape design page), BR Design Build can design, plan, and construct a luxury hardscape surface that will transform your residential home/backyard into a resort-style living space today. 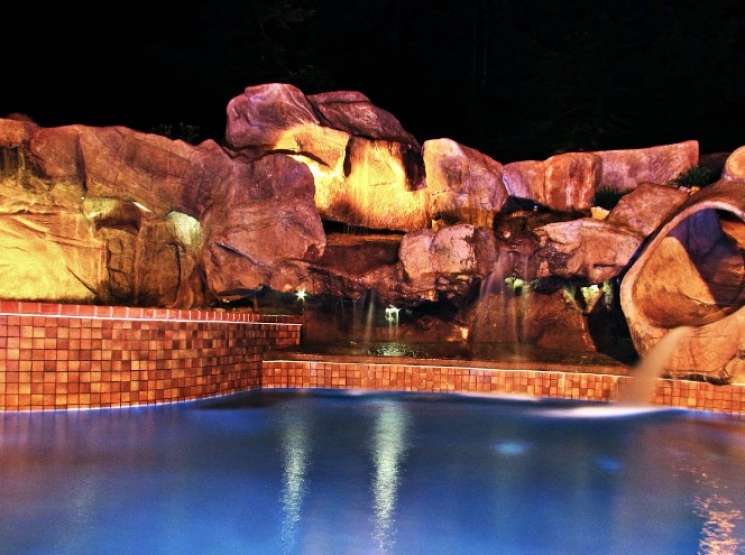 We offer waterfall design and construction services in Anne Arundel County, including Severn, Annapolis, Millersville, Odenton, Severna Park, Cape St. Claire, Davidsonville, Riva, Edgewater, and Arnold. Whether you desire a natural look and feel or prefer something more modern with clean lines that blend seamlessly into your spa or in-ground swimming pool, we can design and install the perfect water element. 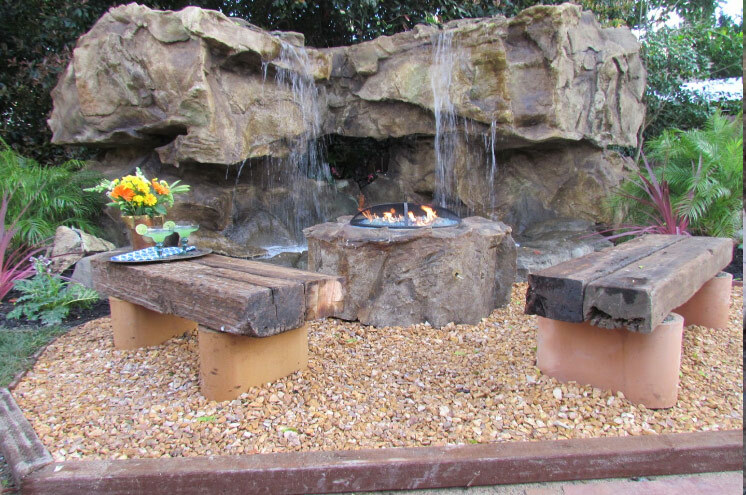 A custom backyard waterfall or water feature will not only elevate the beauty of your outdoor living space, but they also provide a relaxing soundtrack to your outdoor life. 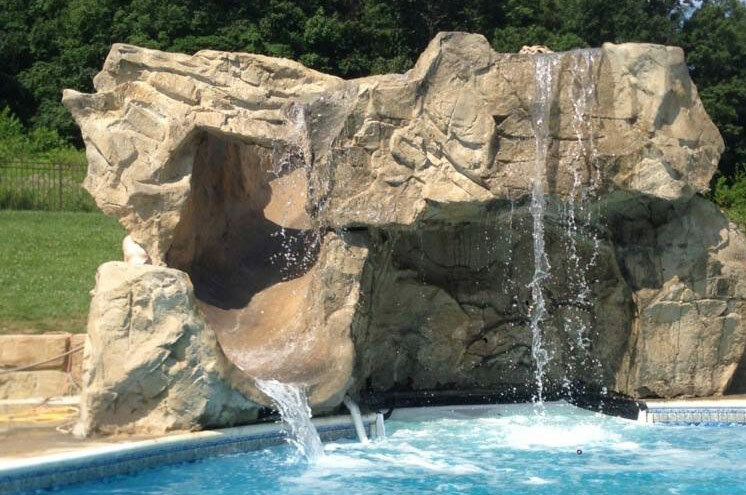 If you desire the look of imposing boulders and large rock formations, the Neptune Panels System offers a lightweight alternative to natural stone that offers many benefits. Constructed from glass fiber reinforced concrete and formed by molds that were made from actual rock, the Neptune Panels System offers an incredibly realistic-looking finish which can be painted to look like anything you want. 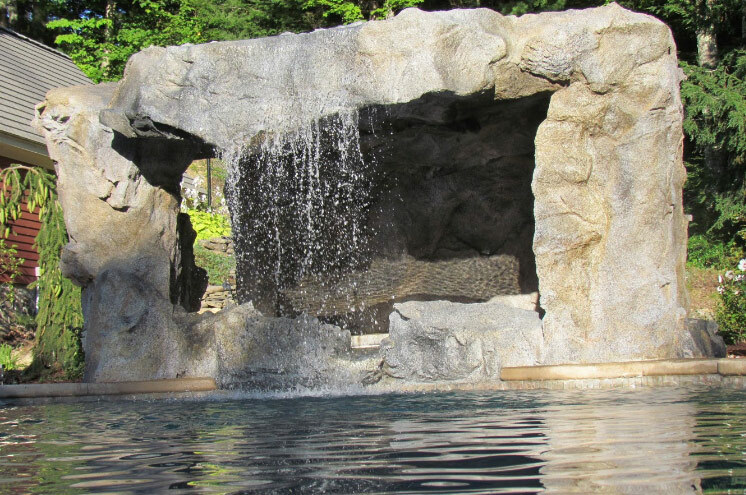 Far less expensive than natural stone for large waterfalls, their lightweight construction allows the formations to be installed in places where it would be impossible to use a crane to put in natural stone. 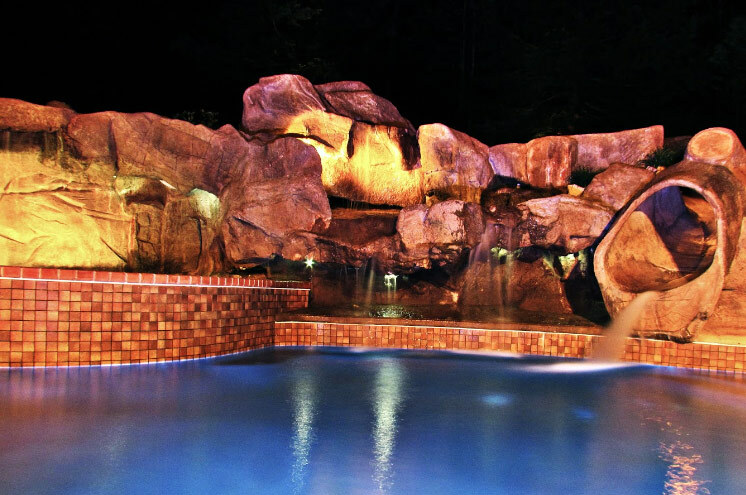 To create a swimming pool that truly stands out from the crowd, the addition of a waterfall is a stunning and memorable feature. 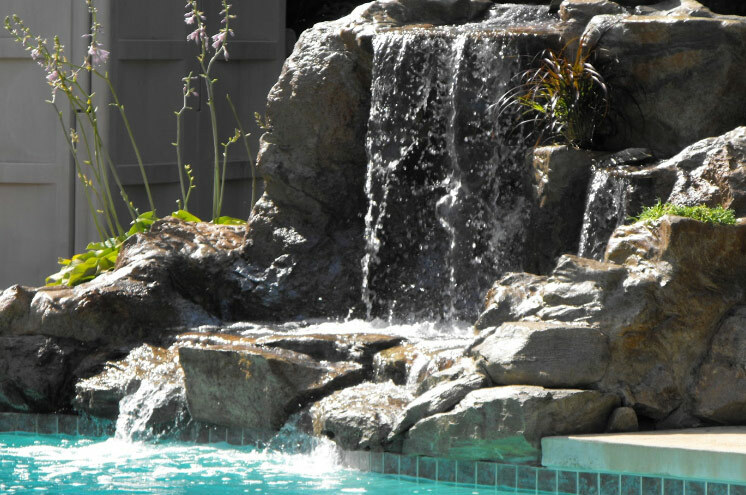 With over 27 years of experience designing and constructing custom waterfalls for swimming pools, our team of experts at BR Design Build have the skills and expertise needed to create the perfect water feature. 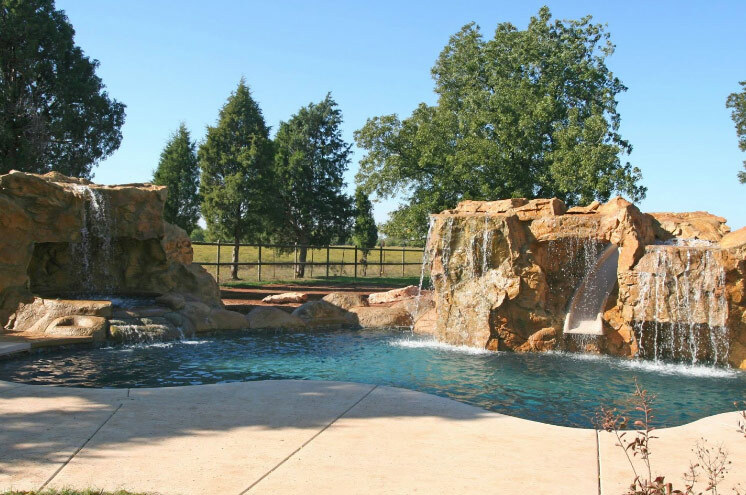 Whether you desire a large and visually imposing waterfall or a small and calming feature that will enhance your landscape with the sound of gently running water, we will work tirelessly to create the end result that you desire. 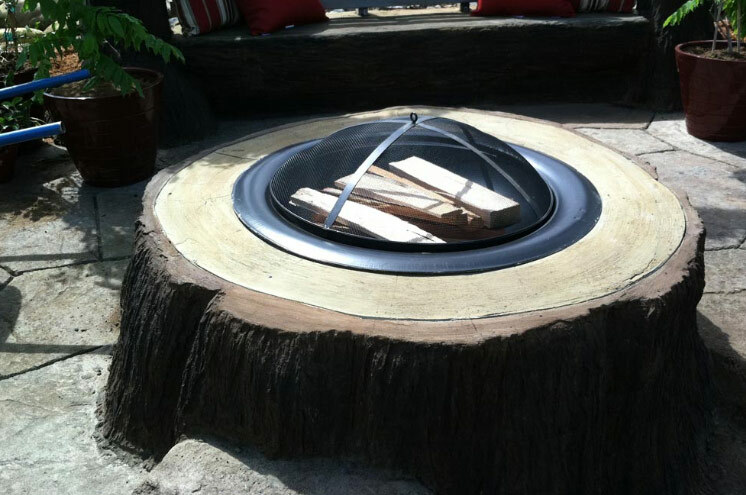 Contact today for an estimate!